Original watercolor is 7 X 9 (image size). Price of the original includes framing. 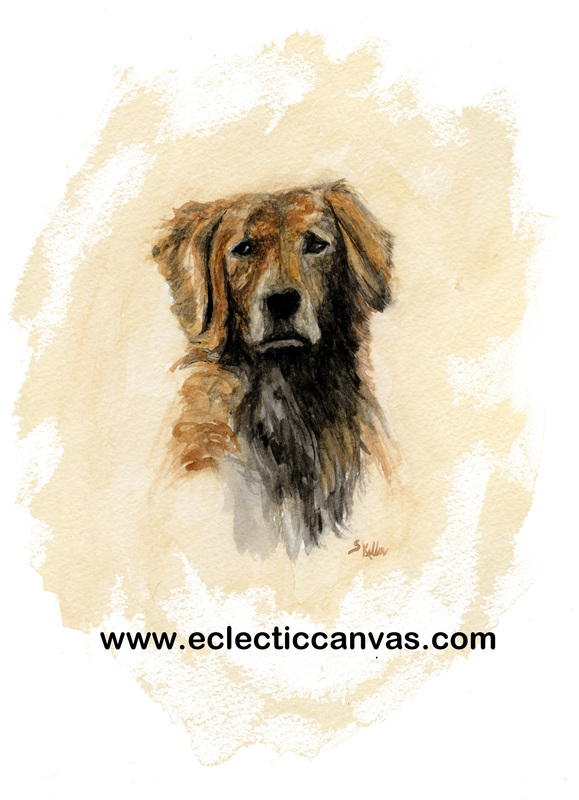 This miniture portrait of a pensive golden retriever recieved a merit award from the DuPage Art League.